Concert tickets for The War and Treaty are $30 and $35 and can be purchased by calling St. Cecilia Music Center at 616-459-2224 or visiting the box office at 24 Ransom Ave. NE. Tickets can also be purchased online at www.scmc-online.org. A post-concert “Meet-the-artist” partywith wine and beerwill be offered to all ticket-holders giving the audience the opportunity to meet the artists and to obtain signed CDs of their releases. St. Cecilia Music Center (SCMC) brings The War and Treaty to Grand Rapids on February 24 to perform on the popular Acoustic Cafe Folk Concert Series. 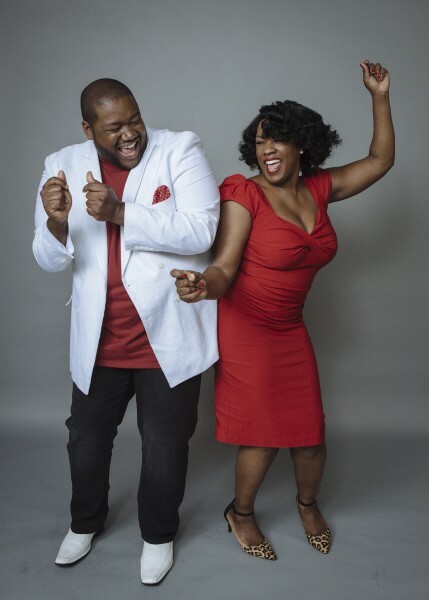 The duo of The War and Treaty, Michael and Tanya Trotter, are quickly rising on the National stage and have been compared to Ike and Tina Turner for their hard charging soul originals. However, Michael and Tanya are unique in that they convey an ecstatic, empowering partnership that serves as their creative engine and core message. “Chilling”, “soulful”, and “powerful” are just some of the words used by audiences and the media to describe The War and Treaty. Their "Down to the River" EP released in 2017 is both stirring and sensual, driven by joy, determination, and an unceasing upward gaze. Their current 2018/2019 tour shares songs of reconciliation and humanity, and takes listeners on a soaring, emotional ride. Arriving to national status most recently and as the warm up band for Bob Seger’s Grand Rapids concert in November 2018, both Michael and Tanya Trotter have had plenty of experiences with other performers and within other musical realms. TanyaBlount(maiden name) sang with Lauryn Hill in Sister Act 2 and has recorded sultry, mid-'90s R&B slow jams. Michael sang in church, and then during a tour of duty in Iraq, where he had the singular sacred duty of paying tribute to fallen comrades in song. He then transitioned to becoming an accomplished R&B singer-songwriter, influenced by Gerald Levert and Tyrese. After marrying and becoming a music duo, the Trotters’ continued to pursue their own unique style. They drew inspiration from different artists and genres including Ray Charles, Aretha Franklin, Johnny Cash and Nina Simone. When The War and Treatystepped up to fill an ill Buddy Miller’s spot at the 2017 Americana Music Festival & Conference, jaws at the Cannery Ballroom in Nashville collectively dropped. They are now more powerful than ever and have been described as a blend of roots, folk, gospel, and soul, reaching back through their deep-rooted history to conjure up the strength of their ancestors. After winning a talent show when she was 13, Tanya knew singing would be her life and started bringing pen to paper. Growing up in a tight-knit community just outside of Washington, D.C., Tanya had a voice that was already hinting at the force it would become: honeyed and bold, guttural but angelic. Michael started writing later, and for different reasons. He spent part of his childhood in Cleveland before moving with his mother, brother, and sister to Washington, D.C. The family spent time in and out of homeless shelters––a limbo Michael would experience again as an adult.Michael enlisted in the United States Army in 2003, two years after 9/11.As a soldier, he felt proud––then scared. He was sent to Iraq, where leaders who outranked him saw the fear in his eyes and treated him not as an underling, but as a brother. Stationed in one of Saddam Hussein’s demolished palaces, he had access to a piano that had emerged miraculously unscathed. A captain heard him play and sing with his once-in-a-generation volcano of a voice, and he encouraged Michael to pursue music. When that same captain was killed, Michael sat down to write––really write––for the first time. More information at thewarandtreaty.com/. 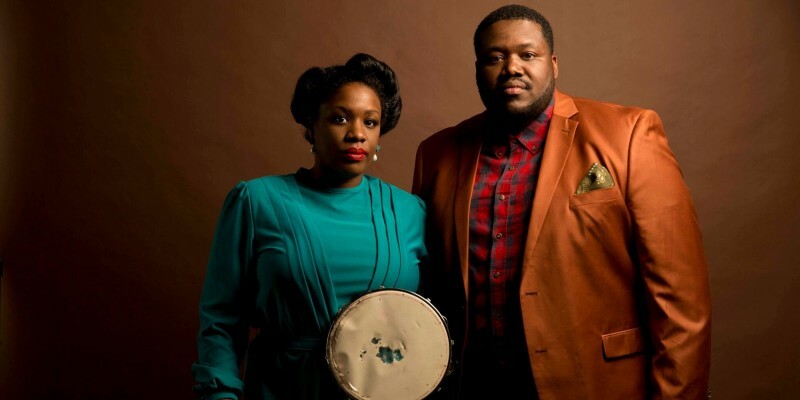 The War and Treaty will perform on Sunday, February 24, 2019. The Milk Carton Kids will perform at SCMC on February 28, 2019. Asleep at the Wheel will return to SCMC on April 11, 2019. Guitarist Leo Kottke will return to SCMC on April 18, 2019.